The U.S. weight loss market, worth a record $66 billion, even though the number of dieters has declined. A good reason is the growth of the size acceptance and body positivity movement. Consumers would rather use Do-it-yourself plans like free diet & fitness apps. Healthy consumers are avoiding processed foods and artificial ingredients, but food companies have adjusted and sales are coming back(1). Can you lose weight keep it off? Let’s start out by making this perfectly clear. 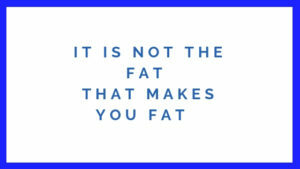 It is not the fat that makes you fat, says Dr. Mark Harman. What is that you say? It is the excessive processed food consumption that makes you fat. Sugar is the main culprit. Candy, soft drinks, fast food, refined processed foods, anything rich in carbohydrates and cooking in vegetable and hydrogenated oil. Let’s get into the right mind set and be prepared for change. I will show you how you can use brain basics to replace bad habits with good. Habits are involuntary behaviors controlled by the subconscious mind. Studies have shown that 40 to 95 % of behavior is from habit. Let’s say that you used only 50 % of your subconscious mind, this would mean you are on automatic pilot(2). Walking up the stairs is an example and once you are at the top you won’t remember you walked to the top of the stairs. Habits whether good or bad are choices that we make and then stop thinking about but continue doing every day. When you think about your habits, it does not matter whether it is good or bad is learned, this means habits can be unlearned. Change your bad habits you can change your life, it is as simple as that. Going on a diet is a perfect example and if you have done that before this will be easy. Why? You are willing to make a change for the good. It does not matter that the diet failed. Look at that diet failure as a lesson on what not to do. 1 in 3 adults are overweight. Insulin sensitivity occurs across the human lifecycle, from puberty, to pregnancy and into old age. Increased carbohydrate intake and increased physical activity, are associated with insulin sensitivity fluctuations. Other factors such as stress, and lack of sleep contribute to insulin resistance. Cortisol, is released when you have a lot of stress. Research has shown that cortisol stimulates insulin, increases appetite and results in fat storage in the abdominal area. Obesity is the most common pathological condition associated with insulin resistance. Some obese individuals, despite being insulin resistant, do not develop type 2 diabetes. Pancreatic β-cells of the islet of Langerhans release adequate amounts of insulin that are sufficient to overcome insulin level reductions under normal circumstances, thus maintaining normal glucose tolerance(3). To be metabolically healthy means your insulin sensitivity is normal or close to 1. Some people can be obese and be metabolically healthy obese. You are one of the lucky few, but for how long? On the other hand there is a close relationship between obesity and type 2 diabetes. According to the CDC, 87 % of obese people have type 2 diabetes. Moreover, obesity also has important associations with coronary heart disease and stroke. Increased calorie consumption, a decrease in physical activity has contributed significantly to obesity and type 2 diabetes everywhere. Not exercising at all, may be sufficient to cause obesity. I have been a long time type 2 diabetic and lucky to not have had a stroke or heart attack from heart disease. Even though I was obese, sluggish, unmotivated, always tired, moody, cramps in my legs at night, feeling helpless and sorry for myself. I thought it would never end and could not tie it to toxic blood glucose. Type 2 diabetes complications include: neuropathy; nephropathy, retinopathy, non-alcoholic fatty liver disease, and cardiovascular disease(4). End stage 85 % to 90 % kidney failure from high blood glucose means dialysis. Dialysis performs the job of the kidneys and filters your blood. I decided to do something about it, more than 2 years ago I watched a video by Dr. Iulian Novac. How To Reverse Your Type 2 Diabetes Naturally and Easily. The video is made by Udemy and has a 4.7 out of 5 rating with 3,458 students enrolled. This video changed my life. I decided to try his recommendations, and I did research to verify his statements. My main objective was to reduce my fasting glucose. I followed his steps and lowered my glucose and everything else seemed to fall into place. I dropped 35 lbs., lowered my HgA1c to the low 5’s, and lost 4 inches off of my waist. You are reading this post on my diabetic website. Furthermore, I have become obsessed with researching everything on type 2 diabetes. My BMI is at 25.3, which means it is above normal, but that does not mean anything to me. Everybody is different, some people are big, have a flat stomach and have a BMI above 25. Now if my BMI was at 35 or more, I might be concerned. Braun Strowman a professional wrestler, stands 6′ 8″ 385 lbs., a former weightlifter has a BMI of 42.5. The man is massive, with a muscular body. Important to realize 42.5 is not a good description of his body. So let us not use the BMI, instead look at yourself in the mirror. How does it look? Do you need to lose weight? Are you type 2 diabetic? Another method to determine obesity is to take a tape measure, and check your hip against your stomach. Measure right above the hip bone, that is your stomach, if it is more then you are overweight. As you lose weight or not measure your progress, do this once or twice a week and log. I did not do this but I looked at my belt and noticed it was 4 notches. Also all of my pants are loose and had to buy a smaller waist size pants. I am not complaining. So now start measuring your progress. Give all diet plans 2 to 6 months, 1 year tops and then they will fail. Why? Calorie restricted diets are the hardest to follow because sugar is still part of the diet. Restricting your favorite foods is a time bomb ready to go off and as soon you break down, boom, your back to the way it was. Let us be clear, all calories are not created equal. 1000 calories of sugar is not the same as 1000 calories of broccoli. The sugar causes biochemical chaos and provides empty calories devoid of nutritional value. The broccoli in equivalent terms would provide 21 cups and you could not eat it. Let us say that you could eat it, you would eat all of the fiber and very few of the calories would be absorbed(5). Even though energy wise they are the same, being processed in the body is a different thing. You must burn more calories than you consume, and you will lose weight, is just plain wrong. 1 diet plan does not fit everybody. Not surprisingly, how can it everybody is different. Motivation is lost, and the old routine of snacking will come back into your life. I know this because this has happened to me many times. I have tried many diet plans, if a plan goes longer than 2 months I am surprised. My late night snack routine included a 10 ounce pop with a bag of family size chips. Consequently after years of junk food snacking, I became obese and insulin resistant. I hope this does not sound to similar because it is a path to type 2 diabetes. A routine like this is very hard to stop, so hard that you should not start. Ultimately, you will have to restrict your high carb processed food intake. Be open-minded and positive to change. Change your habits for the good. Experiment, test, and measure. Try things out for yourself, if it does not work out the way you want then change something. Get a blood glucometer if you do not have one, diabetic or not. Learn how to test your blood sugar. Before making any changes in your lifestyle make sure you talk to a health professional like your doctor. Use some common sense, if something does not work for you then obviously you have to try something else. Dizziness or being light-headed means you are hypoglycemic, stop, gather your composure. Think, be prepared have water and an apple close by. What works for me, may not work for you. Stay focused, research other diabetic websites, there are so many good sites on the net, double check everything I say. Read my posts, check out all of my recommended books, and check out all of my links. I have been there and done that. Everything that I state is backed up by facts. Start with a low carb diet you don’t have to count calories or worry about being hungry. A good pace is a couple of pounds for the first week and then a pound per week after that. This would total about 56 lbs or 25 Kg per year. Cutting down on sugar, starches, and high processed carbs helps in the weight loss. Cutting out sugar completely will ensure you lose weight. The weight loss will not be the same for everyone. A low carb diet will not starve you, fill the void with fats. You are going to be eating this way for the rest of your life. You will make a positive habit change. The weight loss process might seem slow but you will lose weight faster than you put it on. Patience is a virtue. As your body reshapes and slims down so will your insulin sensitivity. You will notice that your pants will fit loosely and your belt will move in a notch or 2. There may be times when nothing happens, don’t worry stay with the plan. Part of the low carb diet is eating healthy high fats, eat lots of fat until you are full. Make up the difference in fats, other wise you will be hungry and revert back to your old diet. Liberally use butter to fry food, add lots of cream to sauces and lots of olive oil in salads. Natural high healthy fats and lots of it will keep you feeling full. Carbohydrate restriction is the key to losing weight along with cutting down on proteins. A free without the use of an app method of losing weight. Carb restriction is different for everyone. Some people can ingest 200 grams of carbs per day and not get fat. 200 grams per day is a very high amount. This will not be easy, you will need to work and experiment with your carb intake. Dr. Bernstein recommends that diabetics restrict themselves to 45 grams of carbs per day. For those of you that are not diabetic, start with a limit of 100 grams per day. As a result each one of your meals is 33.3 grams, times 3. Or if you eat 2 meals it will be 50 grams per meal. Counting carbs and protein is a must, if 100 grams does not work, lower it to 75 grams. If that does not work, try 50, 25, and 20, whatever works. Once you find that amount, give it a try. Do not think that the amount is too little because you can make it up with fats. The plan should take 2 to 4 weeks or 6 weeks it depends on how you adjust. Change the plan accordingly, if it is not working for you, it will be a work in process. Fruits are high in carbs, goes easy or avoid, if your diabetic avoid. Carbs equal sugar. Dairy, milk, and yogurt contain a high amount of lactose. Lactose is not sweet and is broken down into glucose and galactose. Milk also contains protein which will also affect insulin secretion. You can test each one of these foods to see if you can tolerate or if it obstructs your weight loss. Lactose intolerance means no dairy. Some people have a high tolerance they can eat food (carbohydrates) and need a small amount of insulin to metabolize the food. On the other hand some one that is carbohydrate intolerant can eat the same food but their insulin will go up. This means a person will need more insulin for the low carbohydrate tolerance which is driven by insulin resistance a fat storage hormone. Ketogenic, may be the only solution if you are severely diabetic, this means low to no carbs, protein and a high fat diet. The Inuit in the Canadian Arctic consumes a protein and fat diet of whale, seal and fish. Surprisingly, they have the lowest rate of heart disease, cancer and no type 2 diabetes(6). How can they have type 2 diabetes? Well of course, they cannot, there is no sugar in their diet. The key is to eat low carb healthy whole natural unprocessed foods. Most of the foods have labels from manufacturers, and list carb content, if you are not sure google it. Diet is the most important factor and you must work on perfecting this. Experiment and eat 3 meals a day and make adjustments, cut out the snacking and quit sugar. Why do we eat 6 times a day? Breakfast, snack, lunch, snack, dinner, snack and snack to no end. Consequently, obesity is epidemic and therefore, eating habits must be changed. When you are not eating, you are not secreting insulin. Insulin is secreted in the presence of blood glucose, and causes fat storage. The goal is to keep insulin secretion to a minimum. Meal 1 – 4 eggs, scrambled, with a small green pepper, 1 ounce of cheddar cheese, 3 crimini mushrooms, cooked in 3 tablespoons of butter. Over the course of the day 3 or 4 cups of coffee with 2 tablespoons of 34 % whipping cream, and 1 bottle of water. Equally important, seasonal vegetables can be substituted. On the other hand, limit your fruit consumption because fruits contain fructose. Meal 2 – Coleslaw or lettuce salad with an avocado, cherry tomatoes, cheddar cheese with high fat yogurt, 1 tablespoon of natural peanut butter (no sugar or hydrogenated oil) and 3 boiled chicken legs. The chicken can be substituted with any protein to your liking. Beef, fish or pork. Have another bottle of water. After dinner, at the end of the day, a cup of black or green tea. Stop no snacking. Make adjustments to the carb content, work on it until you get it right. Keep lowering your carb content and eventually you can quit sugar. Cutting out sugar additives is a good idea too. Teach yourself nutrition, learn how to cook, additionally, you must be self sufficient. Why? So that you do not have to depend on anyone else. Thus, the problem with take out and eating out is you do not know what people add to the food. Grocery shop for healthy food, take your time, and buy the freshest food that you can. Finally, be a savvy consumer and stay away from processed food. Is an excellent way to keep your insulin sensitivity low. Another way to reduce and burn fat without using an app. Adjust your meals by fasting and eating 2 or 3 meals a day and fast when you are not eating. The goal is to keep insulin sensitivity in the normal range. As a result, you may want to log/record how much time you actually spend fasting. My schedule for eating is Monday, Wednesday, Friday, Saturday and Sunday fast for 16 to 18 hours with 2 meals. Tuesday and Thursday will be a 24-hour fast with one meal. I will adjust this schedule according to my next day fasting glucose, if it is higher than 5.5 mmol/L or 99 mg/dl. I will add a third day of 24 hour intermittent fast. Experiment and test, as well as, test and measure your blood glucose. Finally, after doing this for a few months you should be good enough to make adjustment as needed. The good habits will start to burn in. Exercise, Do You Need It? In reality, you do not have to exercise, but why would you not exercise? Moreover, everyone knows that the benefits far outweigh anything else. Of course, you do it for your well-being, but only if you can and are not injured. Use some common sense, start slow and build up. For those of you that can exercise, why would you not? Start by walking for 5 minutes and build up to an hour a day, every day. Additional exercises like push-ups or planks, benefit your cardiovascular system, but only if you can. Do not over do it, if you are sore then stop. Unfortunately, I cannot hold your hand, or motivate or watch you. So start slow, go easy, be safe and take care. Diabetic neuropathy (nerve damage) means you have to use the utmost care. Check your feet for any kind of ulcers or cuts. Diabetic foot ulcers with high fasting blood sugars are dangerous and you should not exercise. Wait until your weight goes down so that you can comfortably start walking. In the end you will want to start walking. People can lose weight when they exercise. There are numerous studies to show that you can lose weight when you exercise. Equally important to start an exercise program and work at it regularly. Additionally you should gain muscle you may even gain weight, but it is all good. You cannot “spot train” body fat off of a certain area of your body. For example – bicep curls and tricep curls in an effort to burn the fat off of your triceps and biceps. Of course, it doesn’t work that way. The muscle will build and improve the appearance of the arm, but fat will not burn from that specific area. Uniquely, body fat is lost systemically, from within and all over the body. You can’t burn fat off of just your arms with isolated exercises. Furthermore, you cannot control where the body fat comes off first. your risk for all diseases and cancer will go down. Experiment and change your diet as necessary, go week by week and make adjustments to your carb intake. Stay focused and count the carbs to determine daily requirements. The long term goal is to be regular. Special events like birthdays and holidays will introduce high carb processed foods. Avoid and explain to people that you are on a diet. Resist the urge to eat fast foods and high carb snacks. Alcohol, smoking and drug use increases your risk of insulin resistance, avoid if possible. The low carb restriction will require dedicated work and it will not be easy. A healthy lifestyle will enable you to meet short and long term health goals. Some studies have shown that overweight people often eat more quickly than thin people. This is an observational study and does not prove causation, so approach this finding with caution. Eat slower, and make sure you notice when you are full. Take your time to fully enjoy your food. A final note, if you think that you are not maintaining your weight loss, then cut down on your fat intake. Go slow and monitor your food. Lose weight keep it off by lowering your carb intake to fit your weight loss needs. Stick to a regular schedule of eating, intermittent fasting and daily exercise. Try to keep the stress level low and try to get 7 to 8 hours of sleep every night. Use common sense, if you do not feel good stop. Consult your doctor if you do not feel well . Losing weight drops insulin resistance. Get motivated and help yourself, start your carb restricted diet immediately. Prioritize your health, your health is everything, you are number 1. See your doctor and get a blood work up for insulin resistance and diabetes. I thank you for dropping by and reading this post. I welcome and appreciate questions, comments and concerns. Please send me an email. Good info and great post! My father in law has diabetes and he doesn’t want to do anything against it, but I think he doesn’t know how to cure it. So what I will do is send this to him, so he doesn’t have any excuses. I will also send to my wife. There are over 1 billion people in the world that are insulin resistant and or diabetic and don’t know, don’t care or both. Doing something to cure an issue like diabetes is work and you should start immediately to remedy the situation as soon as you know. Insulin resistance can go on for years until you are diagnosed with metabolic issues and then types 2 diabetes. Please send your father in law and wife over to read my articles and hopefully they will gain some knowledge. The only person that can help you is you. Do not depend on anyone else. I advise anyone that wants to lead a healthy lifestyle is to read my recommended reading listed at the bottom of each of my posts. Thanks for dropping by and reading. I just learned more about my Type Two diabetes and losing weight than I did in an entire book my Doctor gave me on living with Diabetes. I am lucky as I am just over the line on A1C and am non insulin dependent so your article is speaking to me that there is still time to get back to full health. I am obese but it was due mostly to adding 10 months of post surgical healing to a bad diet, not over eating. As you stated a lack of exercise alone can cause obesity as was my case. I gained over 100 pounds, and now that I have lost nearly 44 pounds back I am starting to feel my life coming back. I will find out in the coming weeks how my A1C has changed because of better living. Thank you for a great resource. I have not read the book Living with Diabetes but will add it to my list. I have read many books on diabetes, metabolic issues, anatomy, nutrition and lifestyle and have found that you get bits and pieces from the combined readings. Please check out my recommended reading at the bottom of this post and my other posts. They are direct links to my affiliate. Experimenting with different foods and taking glucose measurements is also a key to understanding how different type of foods affect your glucose. Check out my review on the Contour Next. Medication dependent or not, diabetic or not, my post applies to everyone that needs to lose weight. I am glad that you have lost 44 lbs., keep up the great work. Even though you have lowered your A1c, you need to normalize that and it does not stop there. You need to get your insulin sensitivity back to normal and if you keep lowering your weight it will eventually normalize. I thank you for reading and kind words. Hello. Hope you are having a good time. Thank you for sharing Lose Weight Keep It Off. So Carbohydrate foods are the cause of us being fat and not fat foods? I thought foods that contain fats will make us fat but the reverse is the case as you have stated we should eat high fat low carb foods. How many eggs can I eat a day? Thank you for sharing this information + it was educational. I am having a great time and hope you are too. In answer to your question: Carbohydrate foods are the cause of us being fat and not fat foods? The answer is yes and also depends on the quantity of food that you eat. Carbohydrates and protein after digestion enter the blood in the form of glucose. Glucose known as blood sugar, or blood glucose will stimulate the pancreas to secrete insulin. The normal flow of glucose flows to all of the cells in the body and will be used by the cells as needed, any excess comes back to the liver to be stored as glycogen in the liver. Over a period of time and this may take years or decades, continued high carbohydrate consumption in the form of processed foods will cause the excess glucose to go back to the liver and if the glycogen store is full, converts the glucose into triglycerides, fats. The high amount of glucose also creates high amounts of insulin and over a period of time of constant ingestion of carbs will cycle and cycle and create insulin resistance. The first place that the fat is stored is around the liver and a fatty liver will start to develop, this is a start to non alcoholic fatty liver disease (NAFLD). Any other excess fat will form around the other organs like the pancreas, bladder, parts of any internal organs and then around the abdomen. Known as visceral obesity. You could be metabolically skinny healthy for years before becoming metabolically skinny unhealthy or metabolically unhealthy obese. It will sneak up on you. The above process progresses much faster in kids because they consume the 20 ounce sugary drinks on a daily basis. How many eggs can you eat a day? I usually have scrabbled eggs and eat 4 at a meal. I know the dietdoctor Dr. Andreas Eenfeldt says you can eat up to 3 dozen. I consume that many in a week. Diabetes is an epidemic that has raged-on and even when it levels off a bit the numbers are still enormous. It used to blow me away when I was studying to be a fitness specialist that I would do BMI and the dreaded fat pinch test (with calipers) on visually ‘skinny’ students only to find out that they were in the obese rage. What was even more disturbing was learning about the massive increase of type 2 diabetes in kids 19 and under! I’m powerfully glad to come to a website that has some factual data and some practical methods to healing this epidemic. I agree with you. If there is one thing I know for a fact it’s that you REALLY do have to change your mind and really think about what you are putting into your body. I even think to myself…would I feed a child this? We really have to come together, learn together and support each other to find a better way for all of us and the best way for each of us individually. The only way to decrease the epidemic of diabetes is to educate everyone on lifestyle and it should be taught to kids in school. Basics of nutrition and exercise should be mandatory in the school syllabus. Kids as young as 3 years old have type 2 diabetes, parents must be educated also. People you need to be ready to change your lifestyle and start with healthy whole natural unprocessed food diet. This means start today. You’ve done a great job in writing this post as it contains all the essential information on Lose Weight keep it off for type 2 Diabetics. Are there any foods that can boost the production of your insulin in the body? This post is pretty long and it contains all the information on Losing Weight and Keeping it off. You’ve taken the effort to educate people like us so that we can clearly understand and follow your advice. My grandfather has type-2 Diabetes and he’s 75 years old, he walks 5 km every single day without fail. He consumes food in a timely manner and monitors his diet strictly. From my perspective, I tend to think that this is the best diabetics post I’ve found and I strongly suggest everybody to read the whole post carefully and note down the key information. You’re a very strong individual and just keep doing what your doing. I love reading articles on health. Thanks a lot for sharing this post with us. In answer to your question: Are there any foods that can boost the production of your insulin in the body? The answer is yes processed foods and carbohydrates. Insulin is a key for glucose to enter cells and be burned as energy and is a fat stores. I am glad that you found the post educational and I hope you do follow the steps to lose weight and get your blood glucose down to a normal range. Your grandfather who has type 2 diabetes seems to have figured out a lifestyle to cope with his disease and I commend him for that. I appreciate your kind comments and I hope people will read and get the message. Thank you providing such detailed information. I have struggled with my BMI charts my whole life. When you said to not focus on it and started getting into the data I was instantly intrigued. I always knew that sugar was bad, but I hadn’t realized how bad until recent years. The information you provided on insulin and weight loss was also enlightening. Will you do a piece on insulin as it relates (or not) to infertility? Thanks again and keep up the great work! In my post I said not to focus on BMI but we do still need to know whether you are obese or not and that can be done by simply measuring at your hip bone and also a mirror test just by observation. Now when you say you have been struggling with your BMI your whole life that indicates to me that you are overweight, and I am not judging. You can lose weight by performing the steps I mentioned in my post such as a low carb high fat diet, exercise, good night sleep and intermittent fasting. I can guarantee if you stop eating sugar you will lose weight even faster. Insulin resistance takes years to develop and is due to a high carb processed food diet and to some extent stress, drug and alcohol use/abuse. So if you are over weight and insulin resistant you are heading towards metabolic issues such as obesity, hypertension, dyslipidemia which will eventually raise you blood glucose and make you type 2 diabetic. This is only a start to metabolic syndrome and will eventually lead to neurological, cardiovascular and cerebral problems down the road. Insulin resistance has been known to cause cardiovascular issues and neurological issues before type 2 diabetes has been diagnosed. Doctors are calling Alzheimer disease the new type 3 diabetes. Insulin and fertility/infertility, I will say this, if a person is insulin resistant/type 2 diabetic, which means high blood glucose, and is toxic then fertility/infertility will be affected. To what extent is unknown. High blood sugar is toxic and every part of the body will suffer. Thanks for dropping by and reading my post. I think that everyone can learn a little something here, that you can take charge of your life by changing your habits. That is a really powerful message for anyone reading this post Lose Weight Keep It Off. It is also a great article about the ways in which you can help yourself if you are suffering from obesity and diabetes. It is good to know that I can take action and lose weight by applying the methods that you mention. Calorie reduction diets don’t work because no one can stick to them because of the will power break down and then back to snacking and then you go back to eating sugary foods. You need to change the way that you think about your health and your eating habits. I am glad that you think everyone can learn something from my post. It is directed at people that want to lose weight and type 2 diabetics. My message is simple and clear. Open your mind, make a change of habits, eat a low carb high healthy fat diet, start an exercise routine, get 8 hours of sleep and start an intermittent fasting routine. I agree that any calorie restricted diet will not work because the temptation of snacking and having that one muffin or donut will immediately end the diet. Having a bag of chips or 1 donut will lead to 2 and then a soda to go with it. This is a very detailed post. It’s relevant though as type 2 diabetes is very prevalent and it affects all age groups. Working int the health sector in my country, I have seen many patients suffer due to the effects of this disease. It all has to do with lifestyle practices. Not everyone can afford a healthy life style, they just basically eat what they can afford. I like that you have mentioned all the key components of this disease and how it affects the population, lack of adequate exercise is a major issue and diet choices. You have also mentioned obesity and have made a relevant connection between that and Type 2 Diabetes. High blood sugar is toxic causes morbidity and mortality to everyone affected. Unfortunately, there is no escape unless you can reduce high blood sugar in your body. Not being able to afford healthy food must put people in a tough position. I would do anything to put food on my family’s table. Eating a high carb diet will cause insulin resistance, metabolic issues and type 2 diabetes. The solution is to eat a low carb high healthy fat diet, exercise by walking for up to an hour a day and get 8 hours of sleep per day. More and more people are becoming overweight worldwide including in poor countries! This is as a result of the higher consumption of highly processed foods which are high in fats, sugar and salt. But I think that another problem is the amount of soft drinks that people consume. It is so easy to drink huge amounts of sugary drinks and not even realize how much was consumed. And switching to diet drinks doesn’t help as it keeps people reliant on the taste of sugar. I hope that your article helps others to see that what we put into our bodies does affect our health! I absolutely agree with you obesity is a worldwide epidemic. The poor countries depend on agriculture and the main staple is wheat. This means a high consumption of refined flour which is the main ingredient in bread. Wheat contains gluten and a carb that is high on the glycemic index. It is not the fat, that makes you fat it is the sugar that makes you fat. People should be able to get by with a pinch a day of salt on a daily basis, but not need a bag of salty chips. Soft drinks contain zero nutrients and the sugar will cause the blood sugar and insulin to spike that the body was not built to take but somehow manages. Kids drinking the Big Gulp 20 ounce sodas will develop insulin resistance, obesity, metabolic issues and type 2 diabetes at an accelerated rate. Kids need to be educated on nutrition and dieting in school which means eat healthy and avoid sugar. Diet drinks will not fill the void as it is as harmful as sugar. Quit sugar and the metabolic problems will go away. I am trying to get a message out on losing weight, hopefully it will help. Thanks for the thorough and comprehensive post on weight loss. Weight loss is one of the biggest challenge for many of us. Many of my friends are trying to reduce their weight for more than 5 to 6 years. They tried many programs and exercise but they are gaining more weight only Lol. I am planning to share your post with my friends. Thanks for sharing from your own experience and the stats you shared are very helpful. I got great insight on habits and you explained it very well, indeed winning is a habit. You not only addressed and discussed the problem you provided with the solution as well thanks a lot. I watched Mr. Raymond Francis video he is suggesting to quit, sugar, dairy products, processed oil and wheat (If I remember correctly). May I ask is that we need to quit wheat for good health? I appreciate your willingness to share my post with other people. Weight loss can be challenging if you do not know how to do it. Trying to lose weight on a caloric reduction diet does not work. Sugar is so addicting, it keeps drawing you back. The problem with processed foods, is although the ingredients are listed, you may not know or be able to pronounce the ingredient and how it is made. Sugar is always added to prolong the shelf life and will be listed on the nutrition label. Who is to say that is correct other than the manufacturer? Is it 3 teaspoons or 8 teaspoons? The new nutrition label now has added sugar, but sugar also has 61 different names. I agree with Mr. Francis on quitting sugar, processed vegetable oils and hydrogenated oils, bread, pasta, and refined flour. I do however consume high fat cream, cheese and butter on a daily basis. Wheat contains a protein called gluten, which can trigger harmful immune response in some people. Wheat is a starchy carb high on the glycemic index loaded with fiber in the natural form but no fiber in processed cereal form. Eat wheat in the natural form or as close to natural as you can and stay far away if you are diabetic. Thank you for dropping by and reading my post. Amazing to read about your experience. This was really a detailed article, and a fascinating read. Unfortunately so many people suffer from diabetes and don’t do anything to move forward on their path to a healthier life. I like how you brought out the part that habits play in your healthy eating. Do you have any suggestions for a way to start dieting for someone who is a vegetarian? I am glad that you found my post Lose Weight Keep It Off amazing, detailed and a fascinating read. There are way too many people that are suffering from diabetes metabolic issues and insulin resistance. The problem with people is not whether they want to try to diet but not know how to diet. Trying to diet is a good start not knowing how to do it and fail quickly ends it. This is where I suggest that they keep their mind open to a change of habit and develop a new habit, eat a low carb healthy high fat diet, incorporate exercise, try to sleep regularly, reduce stress, and add an intermittent fasting routine. This lifestyle change is work and implemented properly you could have it working in a couple of weeks. Follow a routine and there is no reason why it will not work, but if it does not you will have to make changes in your plan. I want to make sure I understand vegetarian. Do you consume dairy products? Even though you are a vegetarian this means consuming carbohydrates. The carbohydrate group has all of the sugar content. Dairy has lactose which is a milk sugar. A vegetarian will have the same restrictions I would suggest to anyone. Stop eating sugar of any kind, and processed foods. Breaking that down means that you cannot eat: sugar, added sugar, sugar sweetener, sugar additives, sugar alcohol, soda, pop, candy, protein bars, chocolate bars, candy bars, gum, chips, juice, pastries, donuts, cake, bagels, bread, croissants, muffins, jam, pasta, noodles, rice, potatoes, margarine, vegetable oils, canned and packaged products. The lactose contains milk sugar and the lower content of fat means the higher content of lactose. So for example high fat cream which is 33 to 36 % would have 2 % lactose and skim milk would have the highest content of lactose at 5.7 %. The other fat content of milk fall in between. Butter which I recommend to cook in is 1%. Cheese 1 to 2%. Lactose breaks down into milk sugar which means it has 1 glucose and 1 galactose molecules. The enzyme that breaks down lactose is called lactase. Lactose intolerance means people cannot produce lactase to break down lactose. Dairy could be a post in itself. I may have missed some things but the main thing to watch out for is sugar and processed foods. What can you eat: vegetables of all kinds, nuts,and fruits. High healthy fats such as olive oil, coconut oil, and butter, . Go easy on the fruits as they have a high content of sugar – fructose. .Many thanks for dropping by and reading the post. Thank you for such a wonderful post on lose weight keep it off. Many people are struggling with losing weight but most of the time they fail due to bad habits regarding the food ingested and not exercising. Fat people suffer from different diseases including diabetes, heart attack/stroke, this may ultimately lead us to death. According to this post,it is better to adopt good habit and that habit starts from our mind. I am not good at fitness,but I do walk quite a bit. I try to eat healthy and I know that I do not have type 2 diabetes. I lead a healthy lifestyle similar to what you have mentioned in your post. This way I do not worry about getting fat and sick and therefore do not have to visit my doctor.. I appreciate your nice comments on my post Lose Weight Keep It Off. Many people always struggle with caloric diets because of the high carbohydrates that they consume and can never seem to give them up. I have been on this type of diet many times and failed. The only diet or lifestyle is to eat a low carbohydrate or ketogenic diet and the secret or not is to quit eating sugar. Sugar is so addictive, that they have to eat it constantly. Consumption of sugar leads to insulin resistance, Non Alcoholic Fatty Liver Disease (NAFLD), obesity, Metabolic Syndrome and type 2 diabetes to start. The longer you have any of these issues can then lead to other complication like heart disease, neuropathy, retinopathy and the list goes on. You do not have to be good at fitness but if you can do something like walking, and slowly build that up so that you walk for at least an hour a day, that will be a good habit that you will have for life. I thank you for dropping by and reading. Glad that you’re emotionally moved to help yourself, and more importantly, others about looking after their diabetic health. I’m proud that you’ve learned a lesson from your life and wanted to do something about it. God bless you. Although I’m also interested in health improvement and most of your suggestions sounds familiar, I didn’t realize that BMI has nothing to do with how look and how much does you weigh in terms of scaling your health. Thanks for sharing! Type 2 diabetes, metabolic issues and insulin resistance affects more than 1 billion people probably closer to 2 billion people if you consider insulin resistance and undiagnosed people, this is my guestimate. Insulin resistance may take years or decades to build into metabolic issues such as obesity. Body Mass Index is a good tool for determining weight related health risks. However the tool does not take into account gender, age, bone muscle mass and organs in the body. 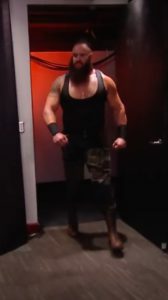 In my example I talked about Braun Stroman. Use the tape measure as I suggested or if you really want to measure yourself you can purchase skin calipers and measure fat that way. For some people if you fit the average build then the BMI is the perfect tool to use. I have had family members that have suffered from Diabetes and I can tell you of many a story about much frustration there is with losing weight and keeping the weight off. What many people who follow these fad diets fail to realize that a diet only works when it translates into some form of lifestyle change. It always astounds me that people are surprised when the weight returns after they have stopped the diet and returned to old habits. I often feel like asking them what they expected exactly. I like that you have brought the idea of diet into the people lifestyles to press home the point. Thanks for the educational information. The biggest problem to any diet plan is trying to start and not wanting to change your habits. People that start a fad diet like a calorie restricted diet will fail sooner than later because of the fact that they are missing carbohydrates. I commend people for trying but don’t know how to do it. Before you start a low carb high fat diet you should rid your pantry, cupboard and fridge of all of the processed high carb sugary foods. Now that you have thrown out the garbage, start the new way of life. You will now have to think, eat, and sleep a low carb high healthy fat lifestyle. In with the new healthy lifestyle and slowly but surely ween off of the sugar. Sugar is an addiction that is a story in itself. Fight any urges to consume sugar and concentrate on a healthy lifestyle. Read nutrition labels, educate yourself on food, diet, nutrition and learn how to cook food, if you don’t know how. I would start counting carbohydrates at every meal and total the amount on a daily basis. Carbohydrates equal sugar, so limit your carb intake. I know people think I am crazy but I have been telling people sugar is so bad for years! But, also I constantly see people that all they eat are fast food and 9 times out of 10 they are overweight and depressed, too. How true to you think it is that overweight people usually have problems with depression, though? But, my dad has type 2 diabetes. Which he found out 10 years ago. At the age of 52. I have heard that type 2 diabetes is hereditary, though. Do you think this is accurate? Is there anything I can do to keep from getting type 2 diabetes. I absolutely agree with you concerning sugar not only does it destroy teeth but slowly builds up fat in the body. Sugar slowly builds up fat and breaks down the body metabolically. The metabolic process starts with insulin resistance, obesity, high blood pressure, abnormal cholesterol and then type 2 diabetes. Insulin resistance and the metabolic issues such as obesity could contribute to depression. I know when I was obese I was moody and depressed. Type 2 diabetes is hereditary in the fact that people have been brought up eating a high carbohydrate low fat diet copying what their parents eat. Change your bad habits as I mentioned right at the beginning of this blog. Type 2 diabetes is a dietary disease, lower your carbohydrate intake (processed foods) you will lower your chances of insulin resistance, obesity, metabolic issues, and type 2 diabetes. Lastly to address the problem of you not getting type 2 diabetes. Eat a low carb high healthy fat diet, and quit or lower your sugar intake. Read my page on Low Carb High Fat diet, start an exercise routine and do some fasting. Get you blood checked if you are not sure. I thank you for dropping by and reading my post. This info is very informative I had to save it for keeps. Hope you don’t mind. My dad had type 2 diabetes and it was a struggle bbefore he died. I am so happy you are able to still sustain your health. I never knew vegetable oil wasn’t that healthy. I am glad that the information is very informative, and you will bookmark this page. I am sorry to hear that your father had type 2 diabetes and the struggles that he went through before he died. High blood sugar is toxic and people don’t realize that and also do not know that diet and nutrition have everything to do with all of the metabolic issues your dad had encountered. I am glad that you now understand that vegetable oil is not good to eat and you have seen the many useful tips. I appreciate you taking the time to read through my post Lose Weight Keep It Off. I based the write up on my own experience and what I have learned over the past couple of years by experimenting with various types of foods and like you have eliminated sugar from my life. Low carb and high healthy fat is the only way to eat healthy whole natural unprocessed nutritious food. Along with an exercise and a fasting routine will help to drop weight and HgA1c to a normal range.